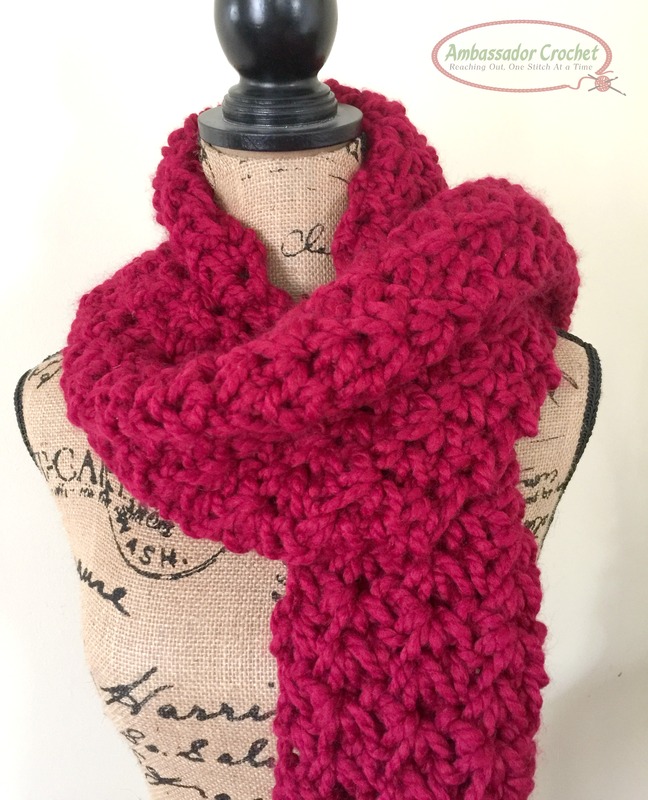 Red makes me think of love and warmth and beauty, and this infinity scarf has all 3 of those qualities. If you are always cold, this scarf will definitely keep you warm and it feels luxurious. One of my crochet friends suggested the name Valentina’s Love Infinity – and I have to say, the name fits beautifully. Rows 3 – 32 (77): Rep Row 2. Note: End at row 77 (or until project measures approx. 57”). 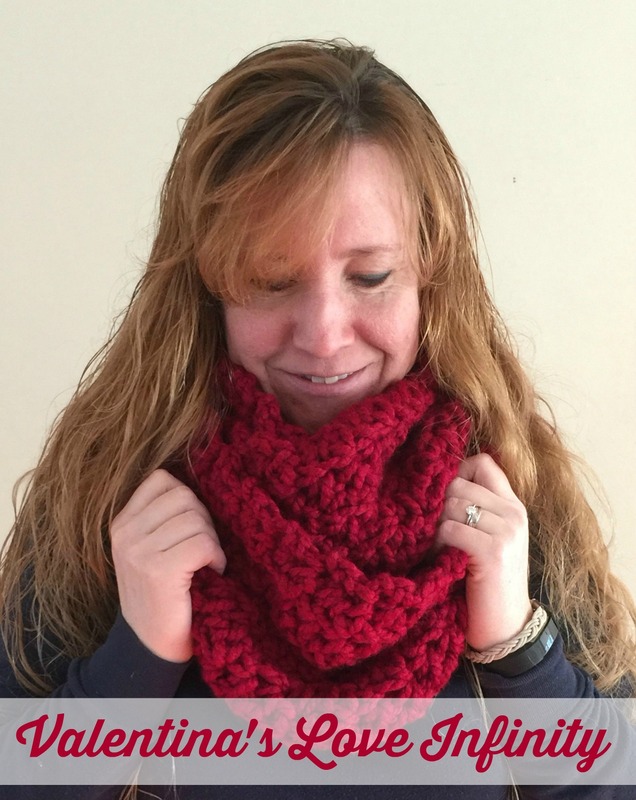 If you’re wondering what would happen if you used worsted weight yarn instead of the super bulky yarn I used for this project, check out my post Can I Use a Different Weight Yarn?